Native to Mexico and Central America. The plant's name comes from the Greek word meaning 'suffer from cold'. 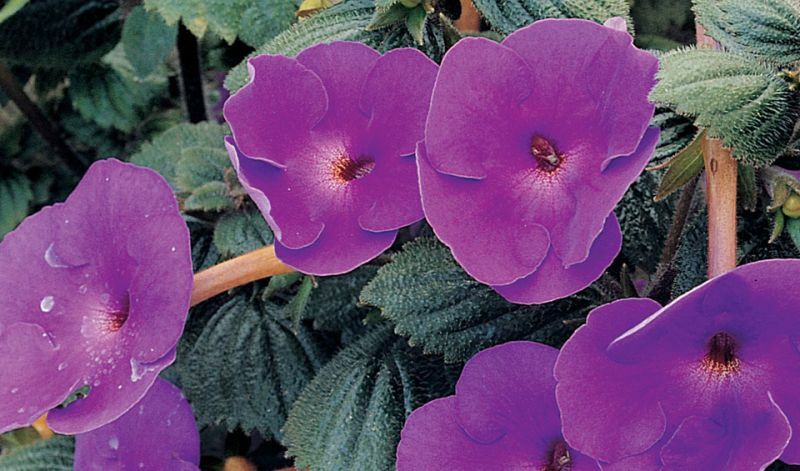 Carefree charmers that have been grown in solariums and greenhouses since the Victorian era. 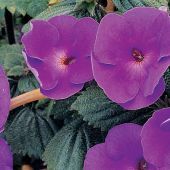 Given that they are relatives to African violets they prefer to be grown where it is warm and humid: indoors or in protected outdoor containers or baskets (6 per 6"-15cm pot or 15 per 10"-25cm pot) . Soak the small rhizomes in warm water overnight before planting. Don't worry which side is up (they look kind of funny so it is very hard to tell) they will always grow. Do not overwater but also do not let the soil dry out or the plants will slip into dormancy and finish flowering for the season. Grow them in a warm (70F-21C) but slightly shaded location (never in direct sunlight: that will burn them). Feed them with a well balanced fertilizer when they are actively growing. When the plants are 6" (15 cm) tall you can start pinching the top shoots to encourage a more 'bushier' and compact plant. Keep doing that until mid Summer.